At Guru Pet Food we are on a mission to tell all dog owners about the amazing benefits of Cold Pressed Dog Food. 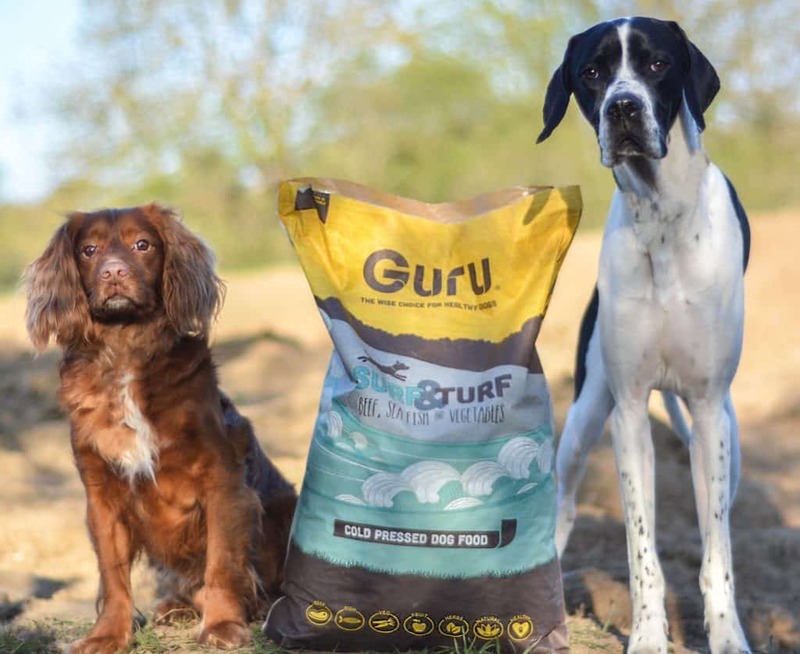 Dogs are such an important part of our family, and deserve to be fed a natural, healthy balanced diet in order to keep them in tip-top condition, so we’re spreading the word about Guru Pet Food. A diet of Guru Pet Food will give your dog all the great nutrients they need to stay healthy and happy. How do we know this? Well, at Guru, we only use the finest ingredients in our food before they’re cold pressed into terrifically tasty bites for your pup to enjoy. Cold pressing is a unique method which we use to prepare your dog’s food. The ingredients are ground, then gently combined together. This ensures that the nutrients are preserved before they are Cold Pressed at low temperatures for just a few seconds. This method of production retains as much of the nutrients in the ingredients as possible. We do two different flavours of dog food Surf & Turf or a Full on Feast, and also a range of tasty natural treats to keep your dog happy and healthy. So why not join our GeekStar crew and give our fabulous pet food range a try.